Find things to do indoors in West Baden Springs, IN and other fun things to do. View our list of attractions, activities, events, restaurants and visitor information. Wine & chocolate samples. Sample wine and chocolate in many different forms at each of the 9 Indiana Upland Wine Trail wineries including French Lick Winery. The racing experience of a lifetime! The quarter-mile indoor track is open year-round and fun for the whole family. 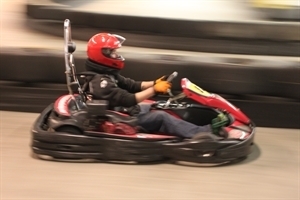 Newly added Falcon Raceway for smaller children as well as a new "slick track" for adults. Enjoy great talent, a wonderful meal, and a great show! A Branson, MO styled show featuring music of the 1960's and 70's. This new hit musical production will take you back to the days of beach blankets to the BeeGees, the British Invasion and Motown. A fun dinner and a show! Re-live the music of the 1950's as the cast Rock Around the Clock with the Everly Brothers, Jerry Lee Lewis, Patsy Cline and Elvis just to name a few.